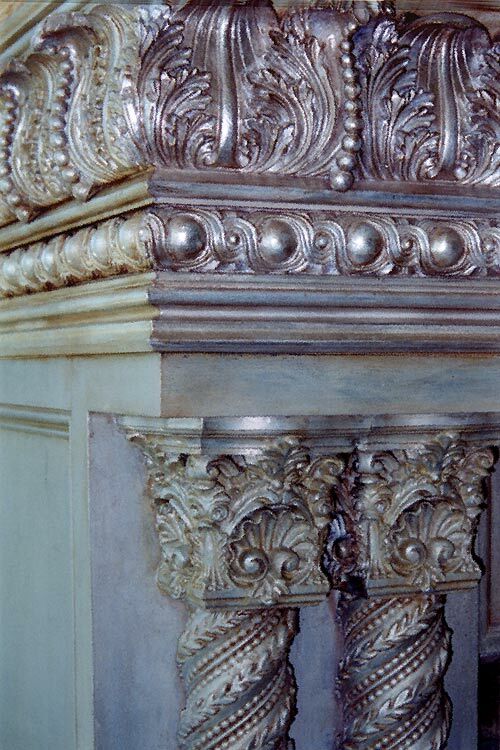 Featured here is a collection of finishes for cabinetry and furniture. 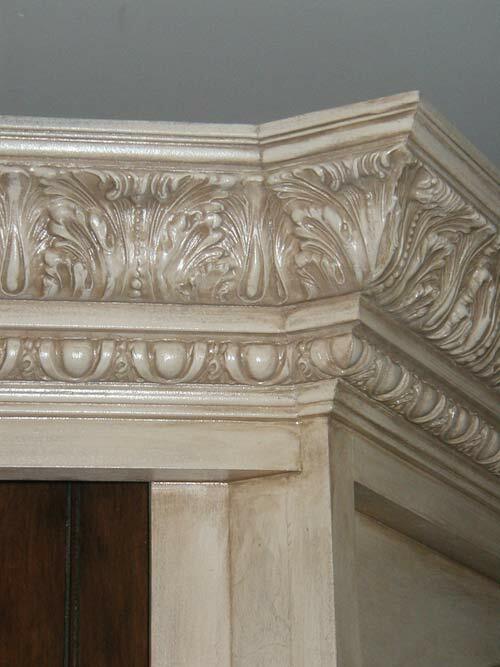 Most finishes we provide are done on site. 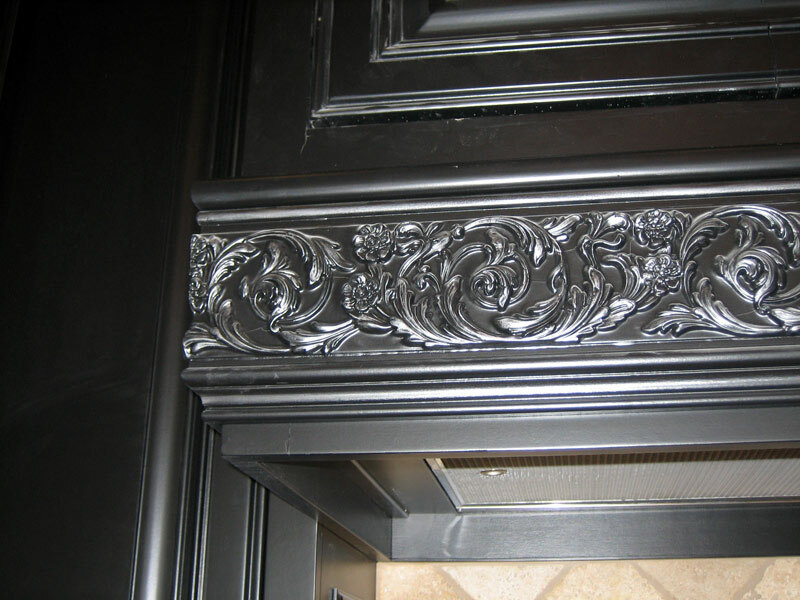 When working on fixed cabinets that require spraying, we always take the maximum care to protect the surrounding area and seal it off with plastic. 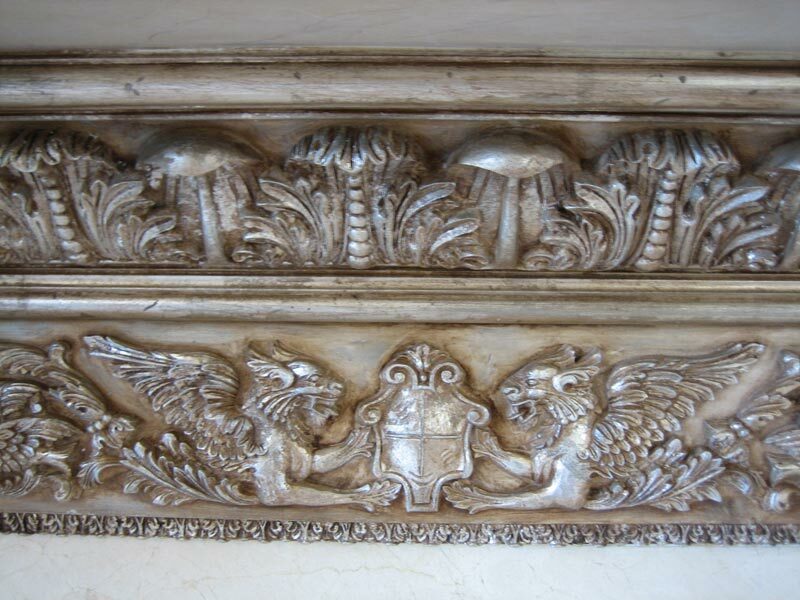 Many of the acrylic finishes can done by hand so the mess is minimal. All finishes start out with the proper base coat. 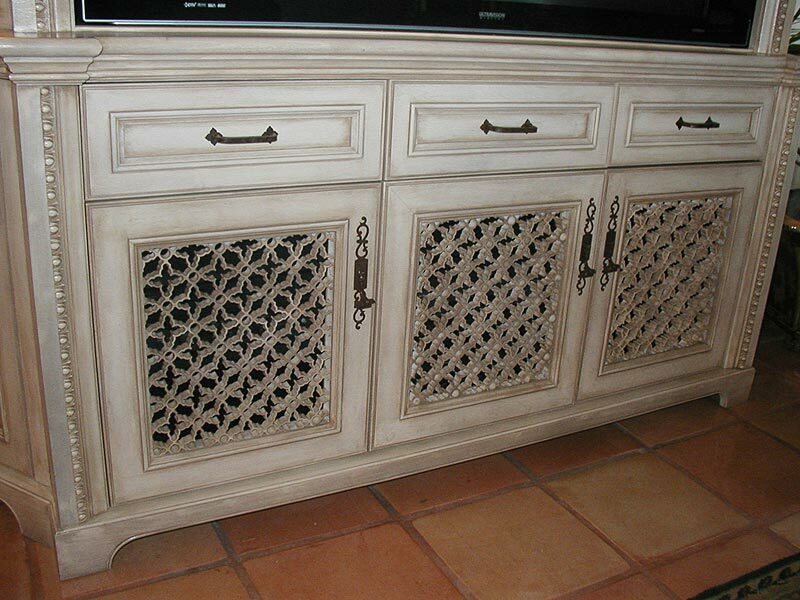 If you have painted cabinets and they are in good shape they may simply need a fresh coat of primer and paint to get the new finish started. 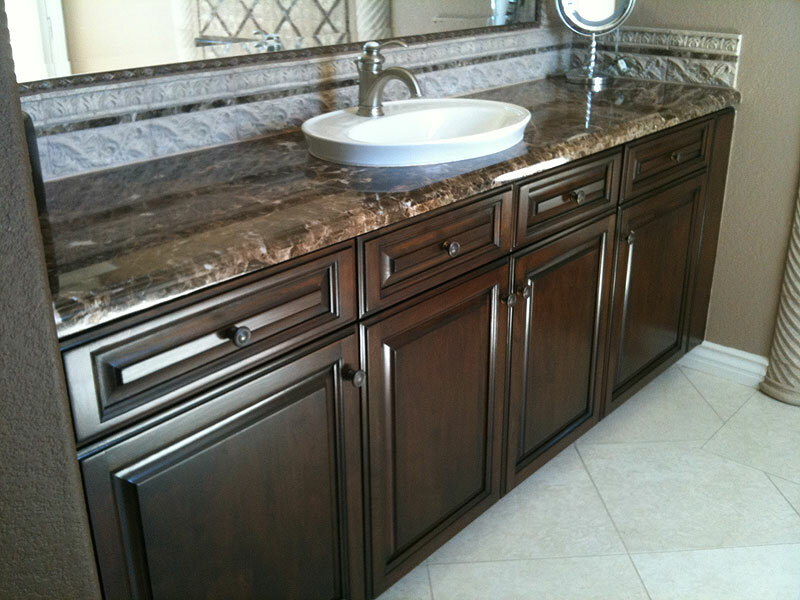 For cabinets that are stained and have a factory finish, such as kitchen cabinets, we like to use a vinyl sealer product by Mohawk which is specifically designed for use in high contact areas where improved durability, water resistance, and adhesion are critical. 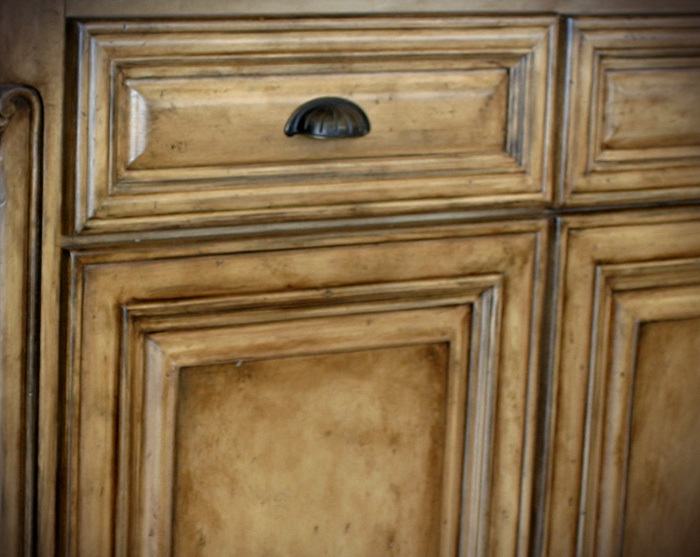 Popular finishes that clients ask for are distressed and antiqued finishes. 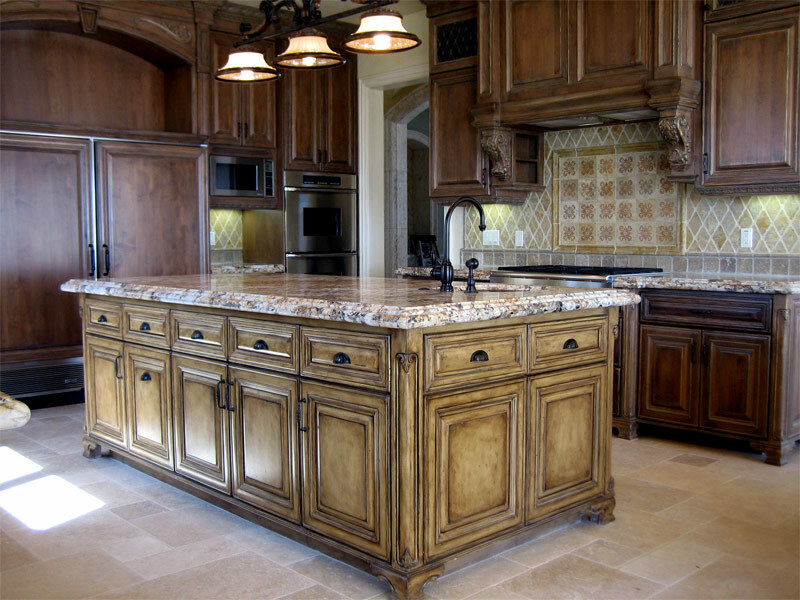 There are many types of tools to distress cabinetry and it depends on the look you want. My personal favorite is to stop by a field and find the perfect rock to make a natural looking ding. 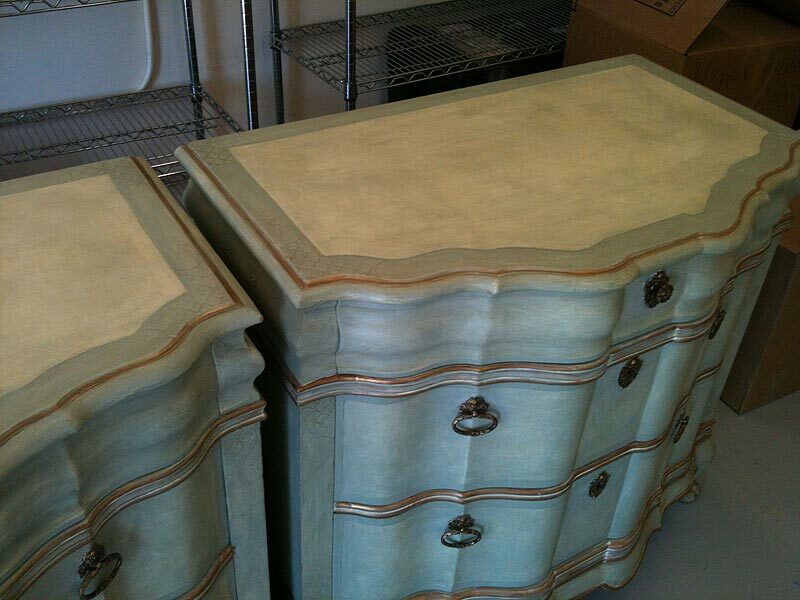 Transforming a stained finish can be easier than most people think. 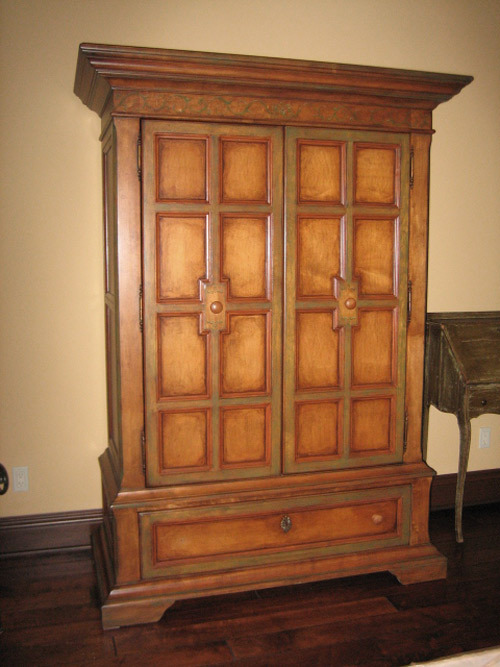 If the existing stain and cabinet is in good shape all it may need is a proper sanding, a dark finishers glaze and a new topcoat. Translucent lacquer by mohawk allows us to layer a color over your existing finish and is a great way to transform your kitchen without replacing cabinets.